AlcoholDrugClass.com offers this comprehensive 32 hour online DUI class for those that have an AB 541 requirement. It is often referred to as a 3 month class, although this class is completely self-paced. It is primarily taken for non residents of CA who received a DUI or DWI citation in the state of California and are being asked to take this class. You must get prior approval to take this class online. You may be able to take this class if you are a CA resident, with prior approval from the court and/or probation. Most people who take this class are taking it because they need to meet the California requirement (32 hours AB541) for a DUI offense and live in another state. If you live outside of CA and you are trying to get your license reinstated in your own state (not CA), then this is the class for you. We recommend getting prior approval to take this class for a court requirement. You can register directly on this website (click the RED Register Now button above) and start the class at anytime or you can call our office at 949-715-2694. We take care of our customers. We can be reached by phone during normal business hours from 8:00am – 6:00pm M-F and 24 hours a day via email through our contact form. 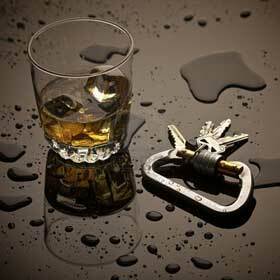 *This class is for non-residents of California who received a DUI in the state of CA. This class is not approved for California residents and those who hold a CA drivers license. These courses should be taken for out of state residents only who have a court ordered requirement only. These are not approved for DMV requirement.